For the first time, any qualified Canadian lawyer or judge may apply for appointment to the Supreme Court of Canada. An Advisory Board has been given the task of identifying suitable candidates who are jurists of the highest calibre, functionally bilingual, and representative of the diversity of Canada. Former Prime Minister of Canada, Kim Campbell has been appointed as the chairperson for Canada's Supreme Court Advisory Board. The Advisory Board will both receive and proactively seek out applications from interested candidates. Once the application period is over, it will consider applicants and develop a shortlist of three to five names. Once the shortlist is finalized, the Minister of Justice will consult with the Chief Justice of Canada, relevant provincial and territorial attorneys general, relevant Cabinet ministers, opposition Justice Critics, as well as members of both the House of Commons Standing Committee on Justice and Human Rights and the Standing Senate Committee on Legal and Constitutional Affairs. Based on these consultations and the Minister of Justice’s recommendation, the Prime Minister will choose the nominee and publicly announce his or her name. The Minister of Justice and the Chairperson of the Advisory Board will then appear before the House of Commons Standing Committee on Justice and Human Rights to explain why the nominee was selected. Representative from all parties with seats in the House, will be invited to take part in a question which will be moderated by a law professor and answer period with the eventual nominee. The National Judicial Appointments Commission, which has been struck down by the Supreme Court of India, had proposed a Commission, which consisted of six members, (Three Supreme Court Judges, Law Minister and Two eminent members). But, the Advisory Board for Supreme Court of Canada Judicial Appointments does not contain a sitting Judge or a minister. Following are the members of Advisory board. Three members nominated by the Minister of Justice, at least two of whom are from outside the legal community. Concept of Applying for the post of Supreme Court Judges was alien to NJAC. According to the newly introduced process of Appointment in Canada, any candidate, who is a Lawyer or Judge, can apply to the post through the Office of the Commissioner for Federal Judicial Affairs. 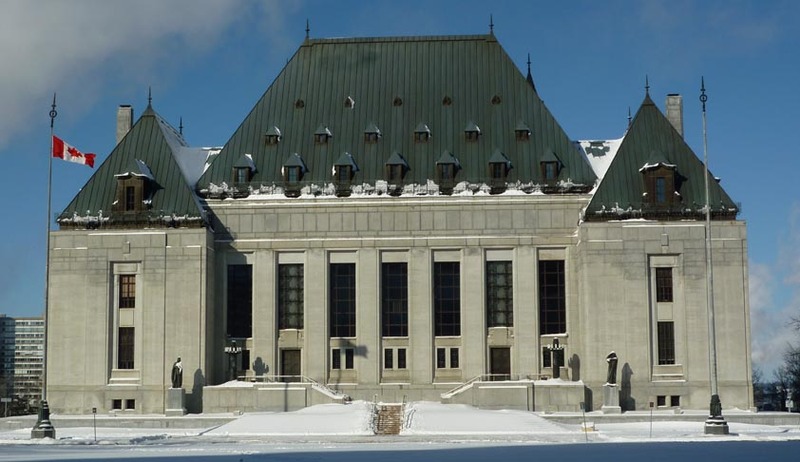 Those who wish to be considered for appointment as a Justice of the Supreme Court of Canada must complete a Questionnaire prepared by three legal academic experts of the University of Ottawa's Public Law Group. Further, if a candidate is chosen as the nominee of the Prime Minister, the information, including personal information, contained in answers to this Questionnaire is to be disclosed to the public.